Maryam Maquillage: Perfect, Genius Brows + VIDEO How-To! Sprinkle one or two taps of brow wiz onto a clean smooth surface. Swipe the brush over one side of the Beauty Genius applicator. Mix the powder and the waterproofing gel together to form a paste. Two taps of the brow wiz and one swipe of the beauty genius is a good amount for one brow application. Brush out the brow hairs in the direction of growth using the spoolie. 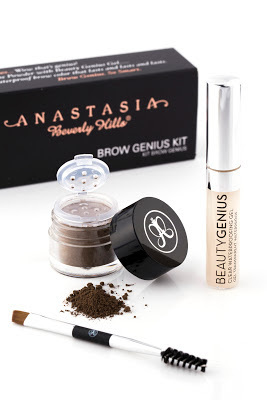 Use the custom Brow Genius mixture to outline the shape of the brow. Fill in the sparse areas and gently fan the brush to create tiny strokes to resemble hair. 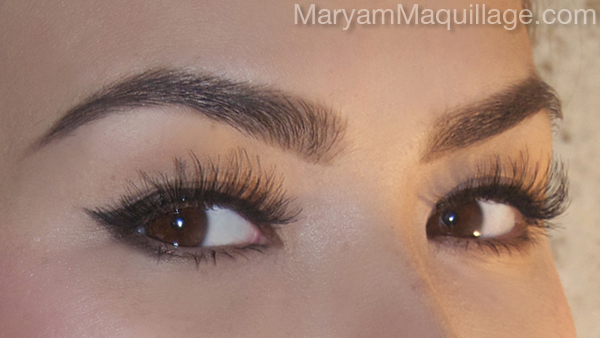 Outline the brow arch and extend the tail of the brow, if needed. 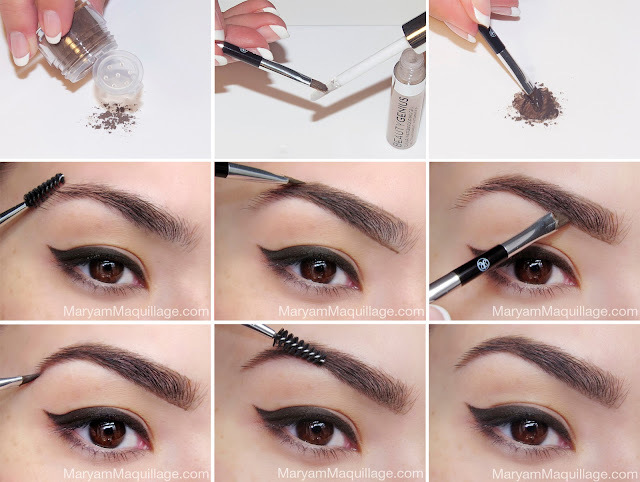 Brush out the brow to blend out any harsh lines. I got so excited when I saw the attched video! Brava! You're a natural in front of the camera! The video is very informative and well explained. Your brows look so natural with the gel, wow! The effect is amazing!! u look absolutely flawless and gorgeous hun,love this! Which color did you use for your browse in the video? Thank you. Hi Maryam! What camera did you use to take photos? I really like it!